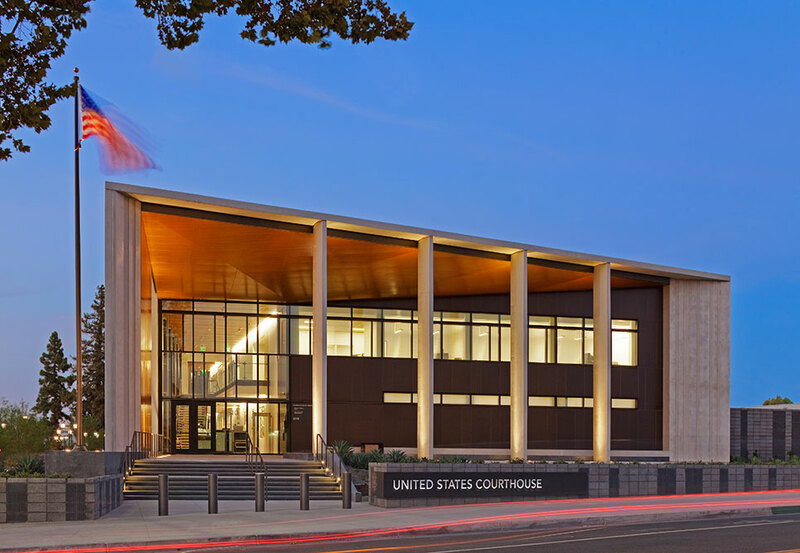 Courthouses as Public Architecture - Redstone Architects Inc. The oldest courthouse in America still in use today is the King William County Courthouse, which is located near Richmond, Virginia. This courthouse is located on land that was once part of the Powhatan Confederacy, famous for its association with Pocahontas. 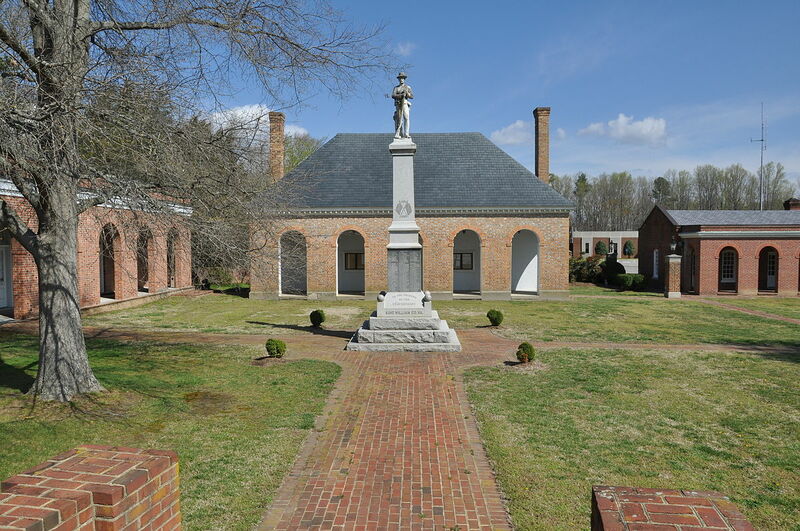 The courthouse was built in 1725 and is the “oldest courthouse of continuous use in the United States;” the design of the building imitates the piazza in the colonial capital of Williamsburg: the Virginia Department of Historic Register considers it to be one of the best preserved colonial era buildings. The building is still used for hearings, although a new courthouse was built in 2003-2004. 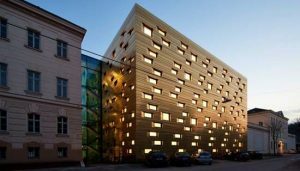 However, the building’s design is very different from modern courthouses: the building is T-shaped and has an arcade that was a traditional public gathering place, and the grounds are surrounded by a wall, which was intended to keep out livestock. Additionally, adding to the character of the building is the “Flemish bond brickwork with glazed headers and rubbed-brick corners and arches,” all of which have been preserved very well. To make courthouses a larger part of community life as they used to be, some courthouses have made use of public art projects. Others have embraced the practice of using the courthouse for other purposes: one courthouse in San Francisco has a “public plaza, daycare center, fitness center, and public meeting space”. Another courthouse in South Africa, built in the same area where Gandhi and Nelson Mandela were imprisoned, has become a true public space: it is used for book launches, exhibitions, debates, dance performances, etc. As long as new designs meet ADA guidelines and remain safe and secure, it is possible for courthouses to become more of a community space. 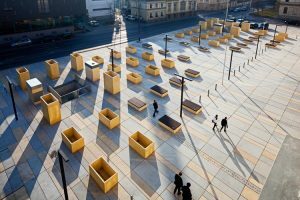 While courthouse designs of the late 20th through the early 21st century stuck to more of a postmodern classicism style, the most modern designs are moving more towards spreading out horizontally in order to better engage with public space. 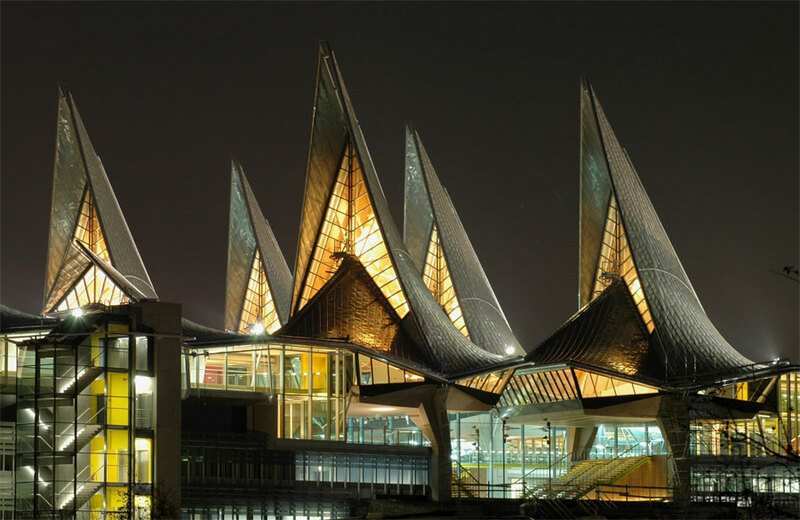 One example of a newly designed multi-use courthouse that respects surrounding historic buildings is the European Law Court Building in Antwerp. The building has an interesting roof structure, makes use of natural light, and has 36 courtrooms, offices, judges’ chambers, a library, dining room and a large public hall. Another courthouse the perfectly blends modern and traditional design features is the Village Green Courthouse in Bakersfield, California. The modern courthouse was completed in 2012, but acknowledges traditional courthouse design, particularly with its location on the border of Mill Creek Park, which is a nod to the “quintessential courthouse on the village green”. Although it was built with federal stimulus funds, there was no uniform design requirement as in buildings built during the Depression with FDR’s New Deal funds. Because of this, the courthouse was purposefully designed to become a landmark and connect to the tradition of a one-room courthouse. However, the building also connects with the modernist architectural legacy of California and boasts some high performance and energy efficient design features. One of these design features is the large windows and pillars, which gives the building a cathedral-like feel, but also allows the building to make use of natural light. Another feature that nods to the tradition of the courthouse as a part of public life is the big open portico. This feature is designed to be inviting and accessible, yet secure. Similarly, the Cedar Rapids, Iowa US Courthouse also features a very modern design making use of windows for natural light. The windows make the courtrooms visible to the public at street level, and balances natural daylight with security in the circulation patterns. Like the Village Green Courthouse, the Cedar Rapids Courthouse is “a significant element within the context of a city” because it is in a park, next to a river. 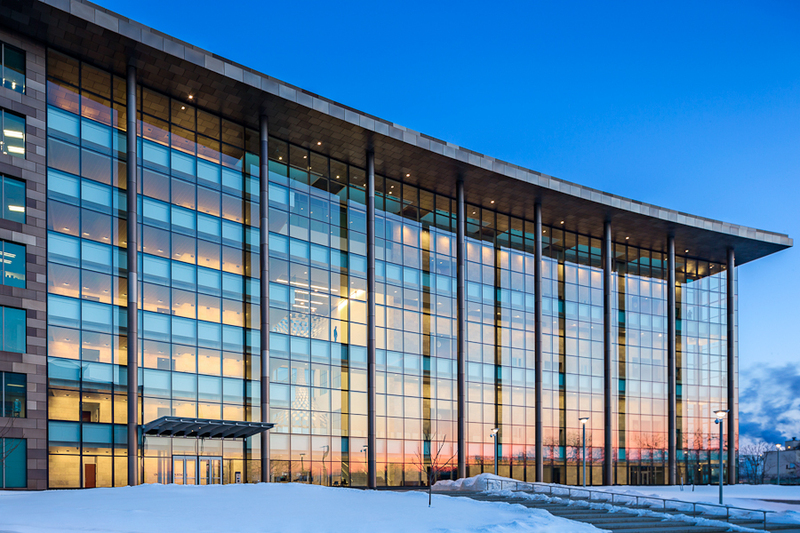 This courthouse was even awarded an AIA citation for the sense of transparency created by the inviting and unobtrusively secure design. The goal of these modern courthouses is to make the courthouse less of an office and more of a public forum. Courthouses are a part of public architecture because they are owned by the government, which makes all of us part-owners. Instead of dreading every visit to the courthouse, it would be beneficial if courthouses could be used for multiple uses and more of a gathering place for the community.